 This school year, STAIR will operate 24 tutoring sites with the goal of serving approximately 240+ public elementary school students from 43+ schools in Orleans, Jefferson, and St. Tammany Parishes. Each tutoring site is staffed with a paid and trained site manager and trained volunteer tutors. Below are our tutoring sites for this school year, their corresponding schools and tutoring dates. Serves students from Plessy on Monday and Thursday afternoons, 4-5:30 p.m. Serves students from Esperanza Charter School on Monday and Tuesday afternoons, 3:30-5:00 p.m. Serves students from Pierre A. Capdau Charter School on Monday and Wednesday afternoons,3:15-4:45 p.m. Serves students Monday and Wednesday afternoons, 3:30-5:00 p.m. Serves students on Monday and Wednesday afternoons, 3:30-5:00 p.m. Serves students from Audubon Charter School on Monday 3:30 - 5:00 p.m. and Wednesday afternoons, 2:30 – 4:00 p.m.
and Bethune Elementary School on Tuesday and Thursday afternoons, 3:30-5:00 p.m. Serves students from Ben Franklin Elementary School on Tuesday and Thursday afternoons, 3:30-5:00 p.m. Serves students from School on Monday and Wednesday afternoons, 3:00-5:00 p.m.
and Crocker College Prep on Tuesday and Thursday afternoons, 3:00-5:00 p.m. Serves students from various schools in New Orleans East on Tuesday and Thursday afternoons, 3:30-5:00 pm. Serves students from Schneckenburger Elementary School on Tuesday and Thursday afternoons, 3:30-5:00 p.m. Serves students from Jefferson Elementary School on Monday and Wednesday afternoons, 3:15-4:45 p.m. Serves students from Alice Birney Elementary School Monday and Wednesday afternoons, 3:30-5:00 p.m. Serves students from Bissonet Plaza Elementary School on Tuesday and Thursday afternoons, 3:30-5:00 p.m. Serves students from Ella Dolhonde Elementary School on Monday and Wednesday afternoons, 4:00-5:30 p.m. Serves students Tuesday and Thursday afternoon, 1:30-3:00 p.m.